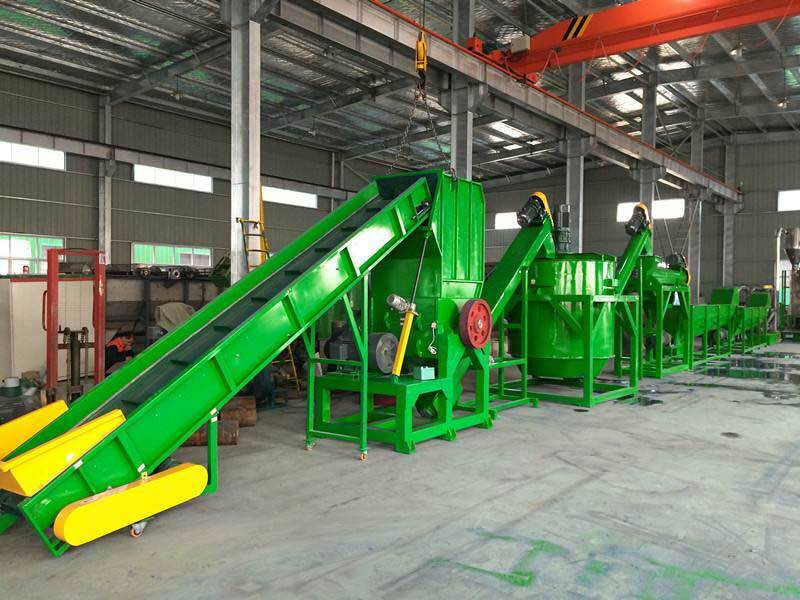 Bottle to bottle recycling | Silver Python Machinery Co., Ltd.
During all these years of experience, Silver Python developed a precise and recognized know-how in high quality PET flakes. Having developed a worldwide cooperation in Bottle-to-Bottle recycling with the main beverage brands, Silver Python perfectly knows and can easily meet the strict specifications required from beverage bottles from PET flakes. Bottle-to-Bottle recycling is a very complex process, involving several different aspects. For this reason, Silver Python’s policy has been to concentrate on the first, very delicate, portion of the PET B2B recycling process, the initial sorting and the washing process. Bottles arriving to the recycling line are first metered into a bale breaker. They are then washed with a caustic solution, the discharge of the flake-washing module, which would otherwise be discarded. 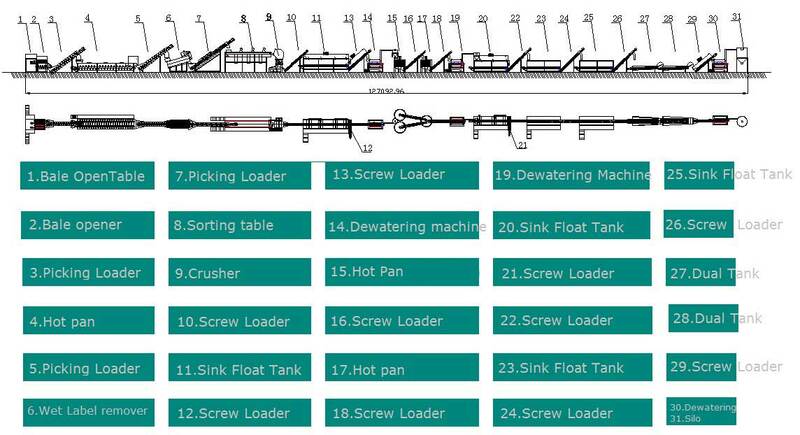 The main contaminants are removed here, reducing machine wear in the following steps. After the pre-washing, manual and automatic sorting takes places. A wet granulator is then adopted to ground the bottles to flakes. Flakes are separated from water and pulp through treatment in a centrifuge and then sent to a final separation. After drying, an elutriator is used to remove fine particles. PET is currently the most widely used packaging material, accounting for 6.4% of all containers and 14% percent of plastic packaging. It is adopted in particular for the production of bottles for water, soft drink, alcoholic bevrages, oils, and detergents. Actually, with regards to soft drinks, 43% of containers are made of PET, which represents the most extensively used material. Every year 50 billion plastic bottles are used for water only .